Nancy J. Turner is an ethnobotanist and distinguished professor in the School of Environmental Studies at the University of Victoria. She is also a research associate with the Royal British Columbia Museum. Patrick von Aderkas is a professor in the biology department of the University of Victoria. He has degrees in botany from the University of Guelph and Manchester. His career reflects a broad interest in experimental embryogenesis of ferns and gymnosperms, including hormone physiology, molecular biology, and proteomics (the large-scale study of proteins). Nancy Turner is internationally known for her work in Ethnobotany, the study of plants and cultures. She is a Distinguished Professor in the School of Environmental Studies at the University of Victoria and has published many books, scholarly papers and popular articles. Her studies have taken her all over British Columbia and to other parts of the world. She has been awarded the Lawson Medal by the Canadian Botanical Association, the highest recognition for a botanist in Canada, the Richard Evans Schultes Award in Ethnobotany from the Healing Forest Conservancy in Washington, DC, and the first Research Excellence Award of the Faculty of Social Sciences, University of Victoria. She was awarded the Order of British Columbia, and named a Distinguished Alumna of the University of Victoria and 2009 was made a Member of the Order of Canada. She is a member of the Royal Society of Canada and the Linnaean Society of London. For many years Nancy has worked closely with First Nations Elders, her teachers, collaborators and friends, to record their knowledge and understanding of plants, ecology and resource uses. Working closely with many First Nations, she has helped develop and support programs for retaining, enhancing and promoting the rich heritage of traditional botanical knowledge within communities. Her work with the Haida spans over 40 years and reflects an intimate respect for their traditional ecological knowledge and the uses and importance of plants on Haida Gwaii. 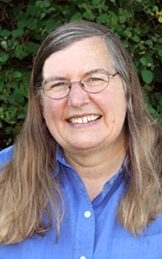 Nancy J. Turner is currently considered a "single author." If one or more works are by a distinct, homonymous authors, go ahead and split the author. Nancy J. Turner is composed of 4 names. You can examine and separate out names.